With the passing of Jerome York, the Apple Board of Directors is really sparse, notes the Wall Street Journal. According to their research, Apple has one of the the smallest boards of any Fortune 500 company. The Journal’s article suggests that the Apple board isn’t going to have any independence. 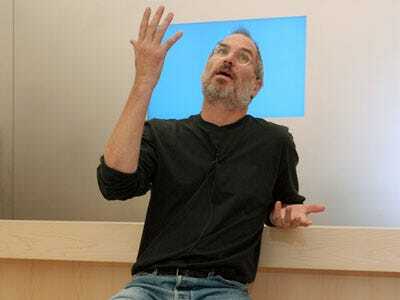 As a result, Steve Jobs will be able to run amok with the company. Uh, isn’t that what’s already happening? In the same article the Journal quotes Jerome York as saying he was “disgusted” that Steve Jobs hid his illness. It says Jerome wanted to step down, but didn’t because he didn’t want to cause an uproar. Further, it says Jerome didn’t offer many opinions during meetings. Steve Jobs is an excellent CEO. He doesn’t need a board stuffed with independent voices nudging him one way or another. He’s doing fine. If he went off the rails, then maybe shareholders would agitate for a new voice. In general though, the idea of an independent board is over rated and basically non-existent. The New York Times added new board members in 2008 after getting fire from activist shareholders. They’ve had little, if any, influence and one of them is gone. When Yahoo was in the middle of its saga with Microsoft, Carl Icahn agitated to get his people on the board. They had no effect and now they’re gone. Should Apple have smart people on its board talking to Steve Jobs? Of course. Is it a top priority for the company? We don’t think so.